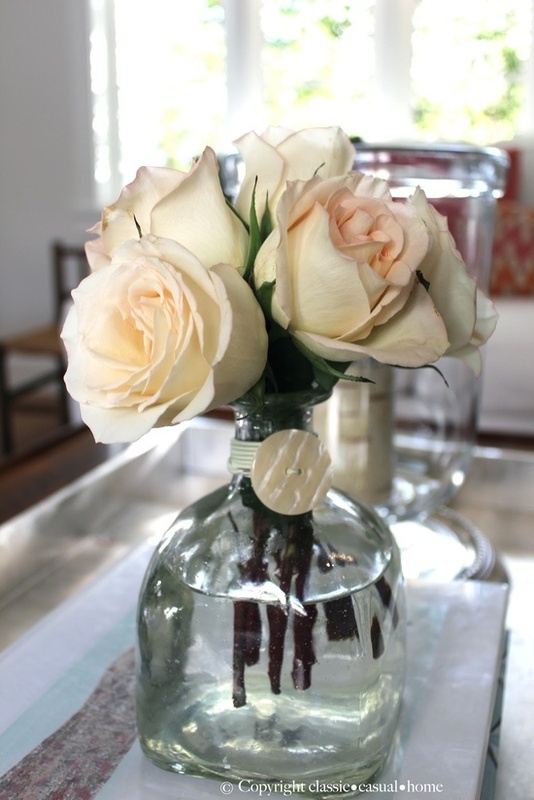 A nice flower vase idea from Classic Casual Home Blog. 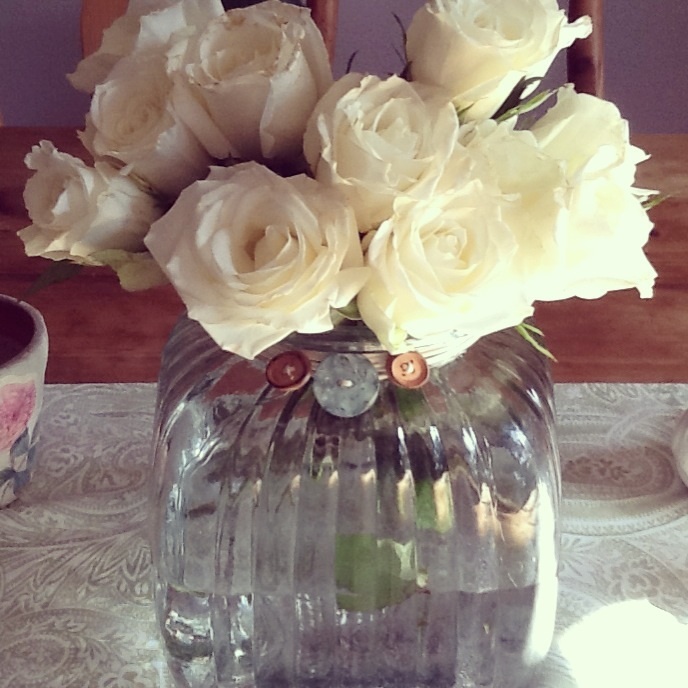 She used a bottle of Patron Tequila for the vase. 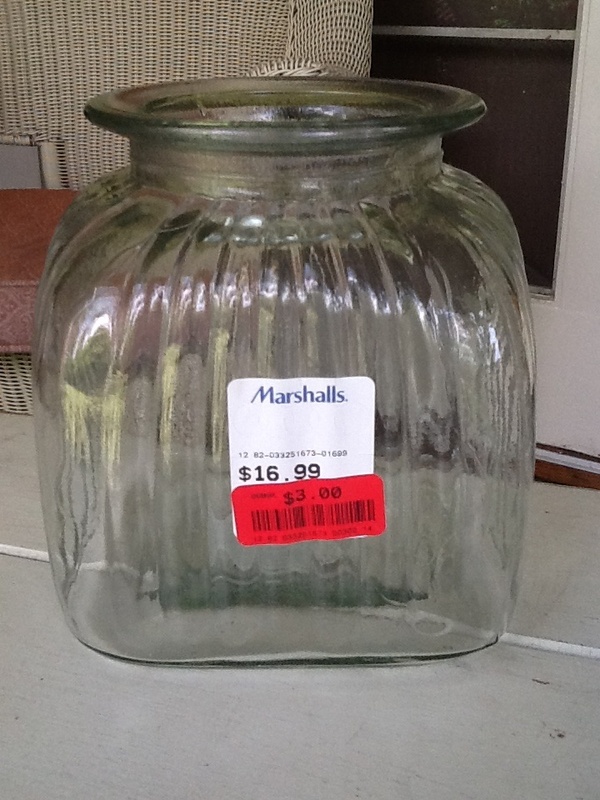 The container I found at Marshals will work nice. I added buttons leftover from when I made a Bracelet.